Former Subscriptions/Membership Dir. at KPFK public radio, former programmer/board op, & reception. 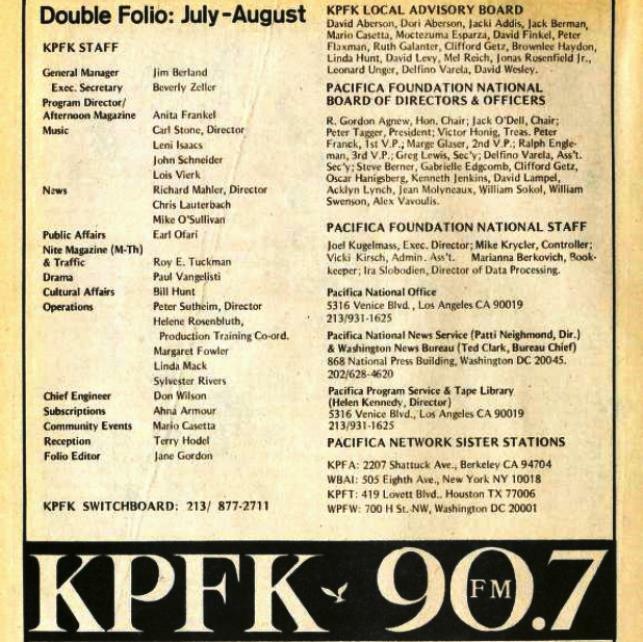 I live in L.A.
“I borrowed this note from Writer’s Almanac and would add that in 1949 Lewis Hill and a few friends began non-commercial FM broadcasting in the San Fransisco Bay Area leading to the founding of KPFT, Houston in March 1970. 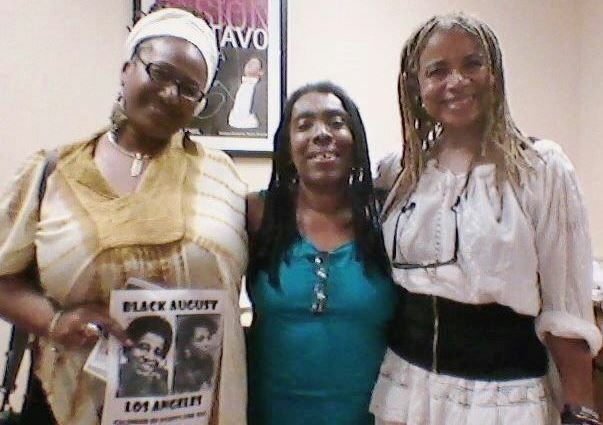 She is still there globally at www.kpft.org Where The Prison Show will be broadcast tonight at 9:00 pm Houston Time. Listen up and support. On May 13, 1939, the oldest commercial FM radio station in the United States made its first broadcast from Meriden, Connecticut. FM — or “frequency modulation” — radio was the brainchild of Edwin H. Armstrong, a radio pioneer who had been designing technical improvements to radio broadcasters and receivers for many years. Radio signals were transmitted using “amplitude modulation,” and although AM radio signals traveled great distances, they were full of static and the quality was poor. Armstrong tried varying the frequency of the radio waves, rather than their amplitude, and the signal became much clearer. Armstrong received a patent for FM radio in 1933, and in 1934 he broadcast an organ recital from the top of the Empire State Building over both AM and FM frequencies, so people could hear the difference for themselves. Yesterday at 2:04pm · Edited ·Chris Hedges is speaking on Sunday evening in Orange County along with Jill Stein and others; it promises to be one of the most memorable evenings of radical solidarity behind the Orange Curtain! One of the world’s most trenchant contemporary social critics, Mr. Hedges is a brilliant, powerful writer; but he’s on another plain altogether as a speaker – you simply have to experience it first hand. Rebel souls will be converging on Santa Ana Sunday evening at the Delhi Center – all the info you need can be found on KPFK’s website – see you on Sunday! The full email from John Proffitt to Stephen Cohen. Thank you for your letter — I do appreciate hearing from you. My reasons for departing are fairly simple and twofold: (1) family responsibilities and (2) a clash of culture between Pacifica and myself. That clash makes it impossible for me to be effective in this job, thus my decision to resign. In my opinion, the historic and deep-seated problems of Pacifica can only be addressed through consensus within the Pacifica family, which is not going to happen given the current poisonous factional atmosphere, burdened with personal attacks, paranoia, obsession with conspiracy theories and other historical baggage that has, in effect, rendered Pacifica ungovernable. I care very deeply about the history, legacy and role that Pacifica should be playing in American life, so perhaps after some of the dust has cleared I will go into detail as to my recommendations and thoughts for a way forward. Lydia Brazon will become iED on or before Oct 14th. Today I have submitted my letter of resignation as Executive Director to the PNB Chair, Lydia Brazon. My last day will be on or before October 14th. I am deeply appreciative of the opportunity — the privilege — I’ve had to work with you as your Executive Director. I’ve come to know and appreciate many for your professionalism and dedication to Pacifica, and I want to thank in particular my National Office colleagues Lydia Brazon, Margy Wilkinson, Jon Almeleh, Efren Llarinas and LaSchele Moseley. I wish the very best for Pacifica, its staff, volunteers and supporters! 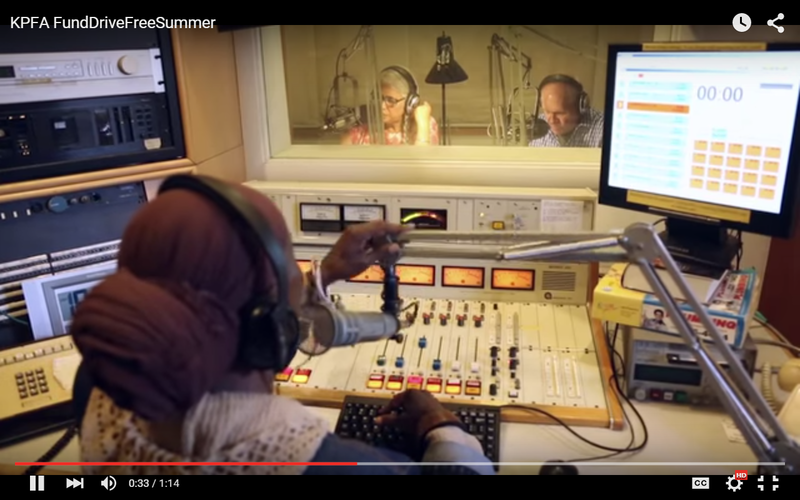 KPFK Confronts Charges of Anti-Semitism : Radio: The non-commercial FM station plans programs on multiculturalism while urging employees not to discuss ‘black-Jewish relations’ in broadcasts. In the wake of a charge that it broadcast an anti-Semitic program, KPFK-FM (90.7) is scrambling to smooth over the controversy by planning future programs on multiculturalism and holding a meeting with Los Angeles County human relations officials. In the meantime, management at the non-commercial station has warned staffers not to discuss the issue on the air. 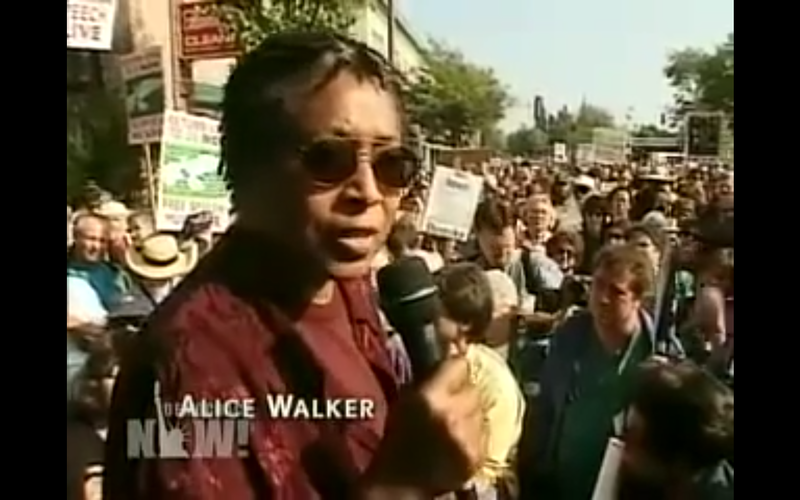 Part 5 of KPFA On The Air, 8:22 minutes, where Alice Walker fought for KPFA, saying “this is something that is precious, this is something that is ours, this is something that we paid for, this is something we believe in, and this is something we intend to keep.” Word had spread that Pacifica had considered selling KPFA, and 10,000 people took to the streets in front of KPFA. The U.S. media system has very few places where dissenting voices can be regularly heard, unconstrained by the interests of corporate owners or the censorship of advertiser dependence. There may be no more important exceptions to this rule than the five radio stations owned by the Pacifica Foundation–the Bay Area’s KPFA, Los Angeles’ KPFK, New York’s WBAI, D.C.’s WPFW and Houston’s KPFT. But how long these stations will continue to exist is very much an open question. Pacifica has long been torn by charges that its national board, led by U.S. Civil Rights Commission chief Mary Frances Berry, is bent on taking the network in a more timid, ratings-driven, commercialized direction. Tensions mounted in February 1999, when the board completed a centralization of power that stripped away any governing role from the stations’ local advisory boards. 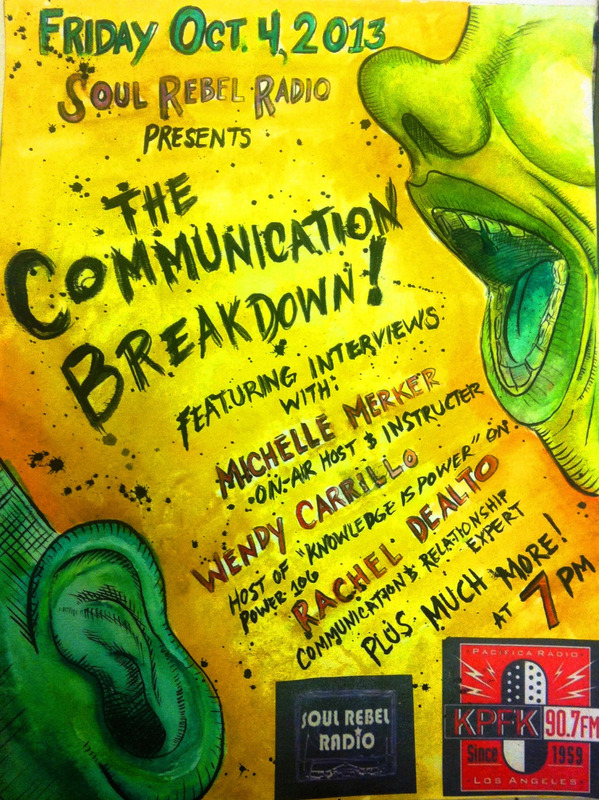 Further protests were provoked on March 31, when popular KPFA station manager Nicole Sawaya was let go, and when long-time Pacifica host Larry Bensky was fired for discussing Sawaya’s ouster on-air, in apparent defiance of Pacifica‘s “dirty laundry” rule. More than you ever wanted to know about the history of radio in the U.S.
Everyone remembers the Hollywood 10. Over 300 media people were named in the anti-communist investigation. But it was only 7 men and women in radio that got the same thumbscrews. Three ex-FBI agents in 1950 published a booklet titled Red Channels: The Report of Communist Influence in Radio and Television. This tome listed people, organizations and publications purported to have ties to communism. Among those people cited for their ties to communist organizations the following peopel in radio: Rod Holmgren, Lisa Sergio, William S. Gailmor, William Shirer, Johannes Steel, J. Raymond Walshand even Orson Welles! 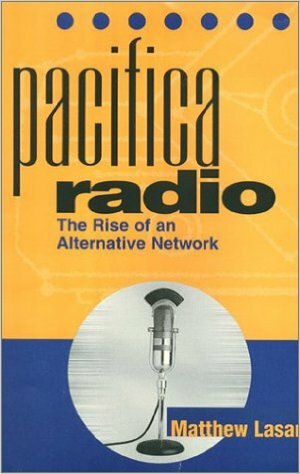 This crap went on for more than a decade with the FCC withholding the license renewals of KPFA, KPFB, and KPFKpending its investigation into “their communist affiliations.” but after McCarthy Sputtered and crashed like the paranoiac alcoholic that he was, the whole movement loast steam. He had been reckless and like a gambler on a winning streak he had not planned for failure. He imploded and drank himself to death. The radio men he ran out of the buisness mostly met sad ends as well, but some found new work writing under psudonyms. — with Mitch Jeserich and Diana Martinez. 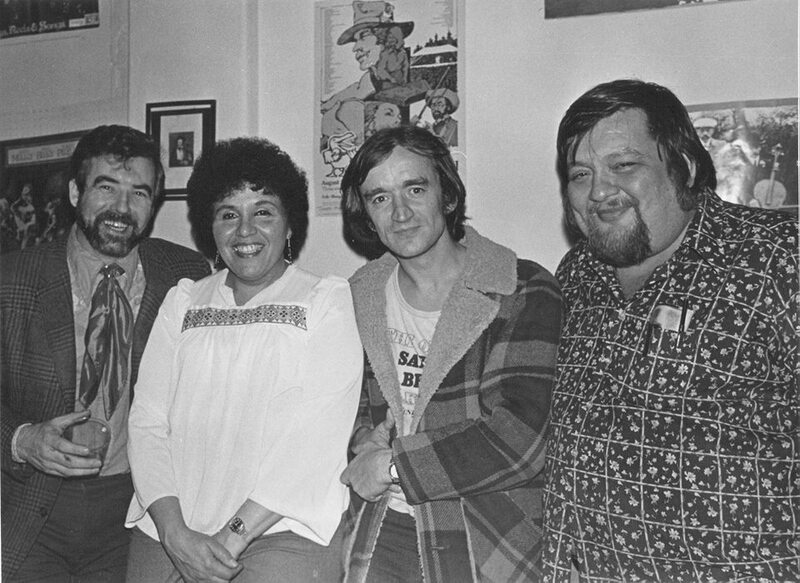 “As a listener-sponsored station KPFK is free from the restrictions and inhibitions of commercial radio. We may attempt to discharge our special responsibility to the community with vigor, intelligence and imagination. Our approach to broadcasting is permissive, bold and somewhat naive, because we feel that these attributes hold the secrets of growth and true wisdom. We choose to focus on the positive aspects of our freedom; what we are freed for; rather than what we are freed from. We are free to serve: By tapping the creative resources of our nation and community we give hearing to deserving and unknown literary and musical talent, we provide a forum for the full discussion of public affairs, and we serve the community by an active participation in its cultural and intellectual life. We are free to explore: In public affairs we are free to probe beyond the superficial level. Our programs are designed to stimulate, not to mirror complacency. We are free to innovate: By broadcasting original works, special interviews, and live concerts, we can give free radio its rightful position as a provocative and intimate communicative medium. We are free to create new formats and recombine old ones. We can afford to risk without fear of the consequences on a popularity rating scale. We are free to challenge: Our view of current happenings and long-term trends in this community and the world can be fresh and insistently honest, equally free to challenge the dogmas of the avante garde or the traditionalist, the intellectual or the anti-intellectual, the happy few or the complacent many, as the occasion requires. We frankly admit our prejudice, against the pretentious in any form or walk of life. Sacred cows find no sanctuary in our studios. The Pacifica Radio Archives has over 60,000 program units, and has digitized approximately 10% since the advent of the digital age thanks to several grant funded projects and by public request. We are currently in the final months of a two-year project to preserve and make accessible 2,000 programs covering the women’s movement, in a project titled “American Women Making History and Culture: 1963-1982”, funded in part by a grant from the National Historical Publications and Records Commission at the National Archives and Records Administration. 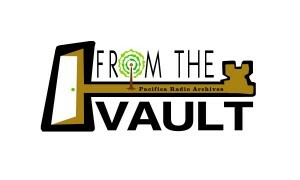 From the Vault is the Pacifica Radio Archives radio series produced weekly to rebroadcast and contextualize the history captured on reel-to-reel tape from 1949 to about 1999 by the Pacifica radio stations. The series is heard on the Pacifica Radio stations and its 200 affiliates. The series was created in 2006 in an effort to disseminate the history preserved to new audiences, promote the grant funded projects that helped digitize selections of the collection, and raise funds to continue preservation and access projects. The Pacifica Radio App version 5 is now available! Now you can listen to your favorite Pacifica stations anywhere you have a cellphone or WiFi signal! If you have already installed the app, make sure you are using the latest version. We are up to v5.0.0.2. The latest version has a new live Twitter feed section and improved functionality and reliability. Check Google play or the iTunes App store from within your device to see if you have the latest version, and to install the free update if needed. Read and listen to news and stories from around the Pacifica network. Monitor live Twitter feeds from around the Pacifica Network from stations and other listeners. Streaming and connection speed will vary from phone to phone, and will be effected by your connectivity. Some stations may take over a minute to begin streaming on some Android phones. From me: However I disagree with Mr. Lasar about not voting in the current LSB elections, I think we have to influence things from within (as well as without). From Time to Time folks try to show how we have been influenced by Cointelpro, the CIA, etc. Please examine the evidence for yourself and reach your own conclusions. The evidence is the over one hundred messages that can be read below. derogatory propaganda messages on Pacifica mailing lists and chatboards. from Pacifica broadcasting of accurate and uncensored news and analysis. 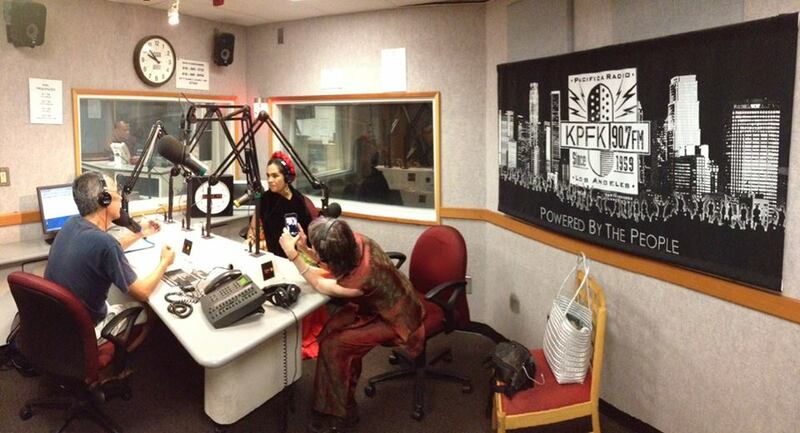 Soul Rebel Radio added 8 new photos — with Tito Corona and 5 others at Kpfk. When great minds collide. Rebels bringing ideas to the table. In KPFK’s upstairs conference room. 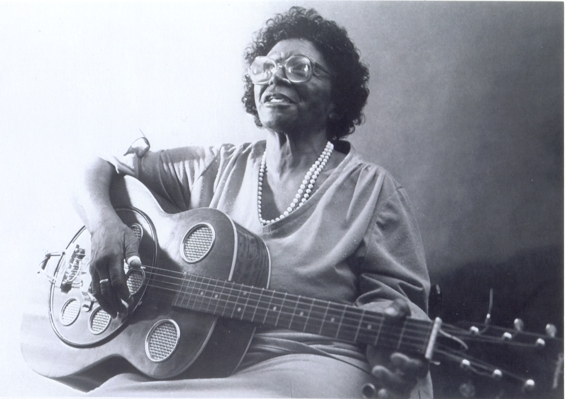 APCH, A Place Called Home, members put together this 5 minute segment for Soul Rebel Radio. It will air Friday, March 2nd at 7:00pm. Please listen in as they discuss “Women Who Rock” and hear about some of the women who inspire our members such as APCH Founder Debrah Constance. We’ve also added this cool slide show. 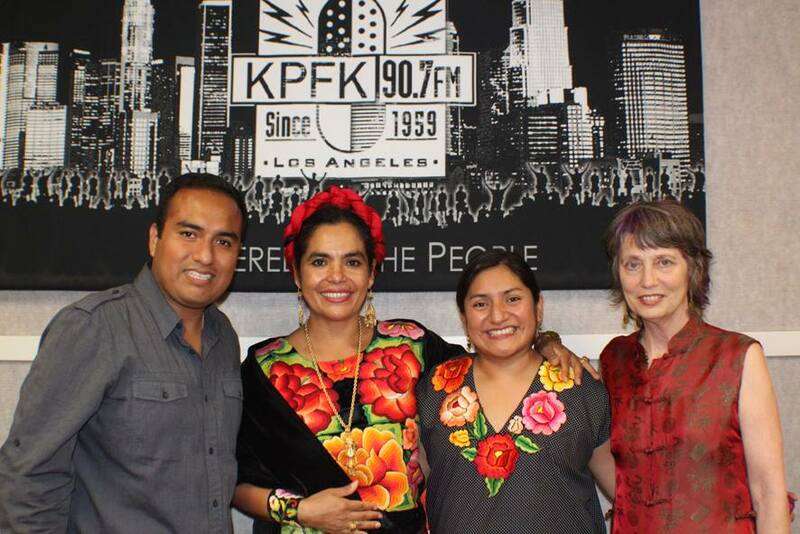 Audio KPFK: The Sound and the Fury by Lucia Chappelle, Mike Hodel et. al. 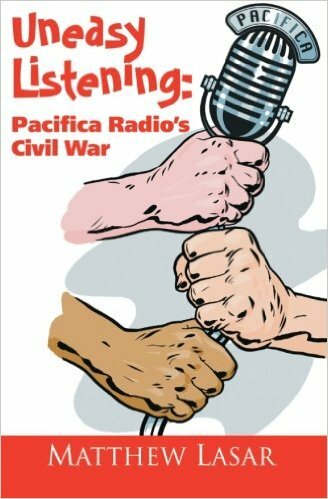 Sorry I can’t post a clip yet, but if you want the best audio history of KPFK from its beginning I recommend The Sound and the Fury, produced by 1992, available through the Pacifica Radio Archives in 3 parts. Sue Cohen Johnson shared Richard Wolinsky‘s photo. So thanks to Randy Thom, 94 year old Erik Bauersfeld (head of KPFA’s Drama and Literature Department in the 1970s and 1980s) is in London recording the voice of Admiral Ackbar, (as he did in Return of the Jedi) for the new Star Wars movie. Go, Erik!! To be taken up by the Pacifica National Board for acceptance or rejection on September 24, 2015, and then to go to the Local Boards for approvals by Nov. 22. 3 of the 5 must approve. For most amendments to be approved, they must pass the Pacifica National Board by a majority of its membership, and then be passed by a majority of delegates at each of 3 of the 5 stations. Particular types of bylaws amendments also require approval by the members via written ballot, and some bylaws amendments may be approved directly by the members even if the boards do not approve them. For more on amending the bylaws, see Article 17 of the Pacifica Bylaws, the most current version of which is here. Article Six, Meetings of the Board of Directors, Section 3: Telephonic Meetings The Board may hold regular and special meetings by telephone conference, video screen communication or other communications equipment, provided, however, that telephone appearance at meetings scheduled as “in-person” meetings is not permitted. Participation in a telephonic meeting under this Section shall constitute presence at the meeting if all of the following apply: A. Each Director participating in the meeting can communicate concurrently with all other Directors. B. Each Director is provided the means of participating in all matters for the Board, including the capacity to propose, or to interpose an objection to, a specific action to be taken by the Foundation. C. The Board has a means of verifying that the person participating at the meeting is a Director and that all votes cast during said meeting are cast only by Directors. The ballots were to have been sent out and the ballots returned by Oct. 22nd, but that has been delayed. KPFK News: The Watts community is commemorating the 50th anniversary of a rebellion and riot that radically changed the face of Los Angeles. Fifty years ago, Marquette Frye – a 21 year-old black man – was pulled over for drunken driving by a white California Highway Patrol officer near 116th Street and Avalon Boulevard in South Los Angeles, setting off a chain of events that led to a six-day uprising. 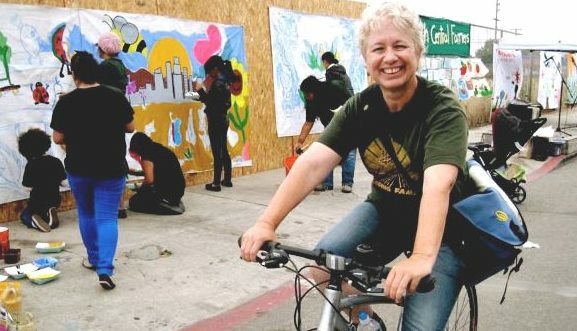 Angelenos will gather at a variety of events throughout the week to remember that fateful day, which escalated when Frye’s mother arrived at the scene, devolving a so-called routine traffic stop into a melee. The incident attracted a large crowd fueled by simmering racial tensions punctuated by high unemployment, poverty, and police brutality. Those tensions exploded on that August night. Six days of fires, clashes with police and violence followed that traffic stop. Thirty-four people died, more than 1,000 were injured and scores of buildings were damaged, looted or destroyed – causing an estimated $40 million in damage. Religious leaders gathered at 116th and Avalon in remembrance of the events of 50 years ago, praying that the city never re-lives the type of violence of the Watts riots. 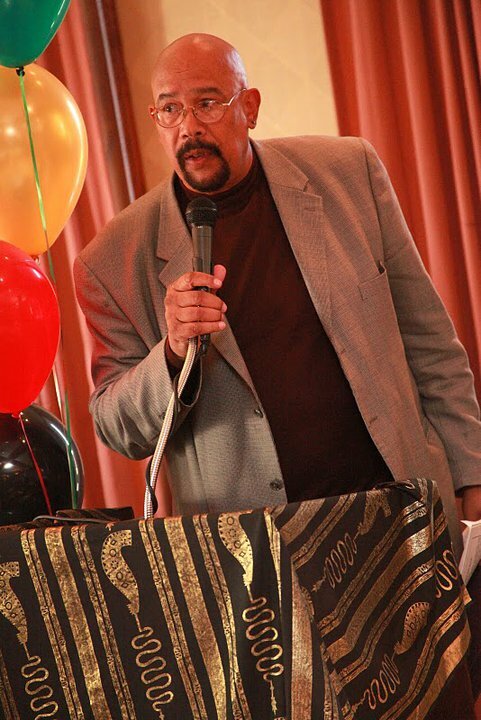 Los Angeles author and political analyst Earl Ofari Hutchinson said conditions in Watts and South Los Angeles are similar – if not worse – today than they were in 1965. Hutchinson, who recalled the violence and the chaos of the riots, pointed to increased levels of joblessness, poverty and police tensions in the area. 23 of those who died in the riots were killed by Los Angeles police officers or National Guardsmen. Nearly all of the injuries and deaths were civilians. The Watts disturbance was the deadliest in the history of the city until the uprising and riots that followed the 1992 acquittal of the police officers who beat Rodney King. In that uprising, 55 people died and 10,000 businesses were destroyed by fire. Groups such as the Youth Justice Coalition will hold teach-ins on the benefits of community policing and the need to address and solve the root causes of economic inequality and poverty. On Saturday, the all-day “Watts Revolt: 50 Years Later Symposium” will be hosted by Mayor Eric Garcetti and the Human Relations Commission at Charles Drew University in Willowbrook. That same day, Grant AME Church will hold a commemorative church service at 9:30 am, with a community fair and block party planned at noon. Rick Alvarez This was probably my first recollection of a historical event. Too young to remember the JFK assassination but I sure remember Watts. Could see and smell the smoke for days! Elaine Carr I attempted to share my experience and this posting and my culturally diverse FB friends ignored it. No likes. No comments. So I seek a braver audience: I was 12 when it happened. I sat on my lawn with dad’s Blaupunkt short-wave radio watching tanks roll by & listening to police calls. Illegal? Who knows? I was a skinny little shy 12 year old kid. And I thought it was a cool thing that Marquette & Chuck Frye were always hanging out at our house — until dad banned them. That’s it. It’s my story coming of age in south LA that went from LA to Watts to South Central to South LA. Just about as many labels as my ethnicity…and I still prefer to be called American.Peace. This past weekend a few members of the KPFK Local Station Board, and other volunteers called 500 lapsed KPFK members to get their feedback on the station, and why they stopped subscribing, We received some great suggestions, as well as several renewed subscriptions, and over $1000 in new donations! Over just the last few years we have lost over 8,000 listener subscribers, and over the next few months we will be calling all of them, taking their feedback as to why they lapsed, and inviting them to participate in rebuilding a KPFK that reflects and serves their communities. We need you in the phone room, so we ask all our current KPFK family to be on the lookout for phone volunteer call out. KPFK Would like to thank all those who donated their time this weekend. I hope they worked with the Membership Director and existing experts. 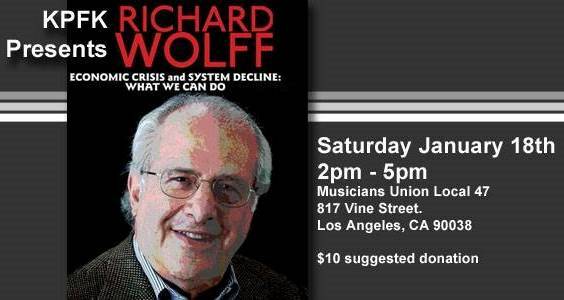 I have been pushing for this for a long time, but done by experts, or folks skilled in KPFK and its fundraising. Dedon was a member of the Black Panther Party, member of Peoples Revolutionary Party, member of All African Peoples’ Revolutionary Party, community activist, b. 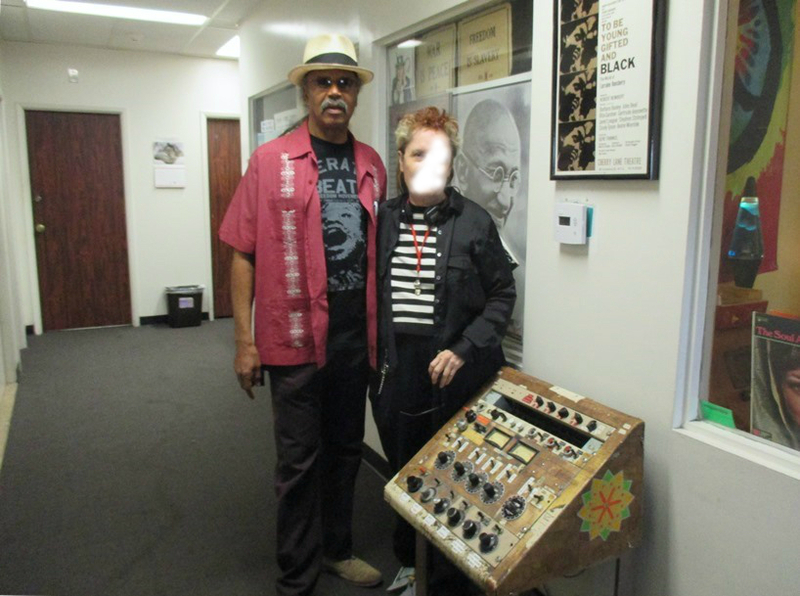 1949 BA Political Economy of 3rd World, former Black hippy, surfer, TM practitioner, father, mentor, Phd program in African studies, Pan-Africanist, journalist, propagandist, programmer for about 30 years on KPFK. Dedon y yo, and the old “temporary” broadcast board we had for some years. 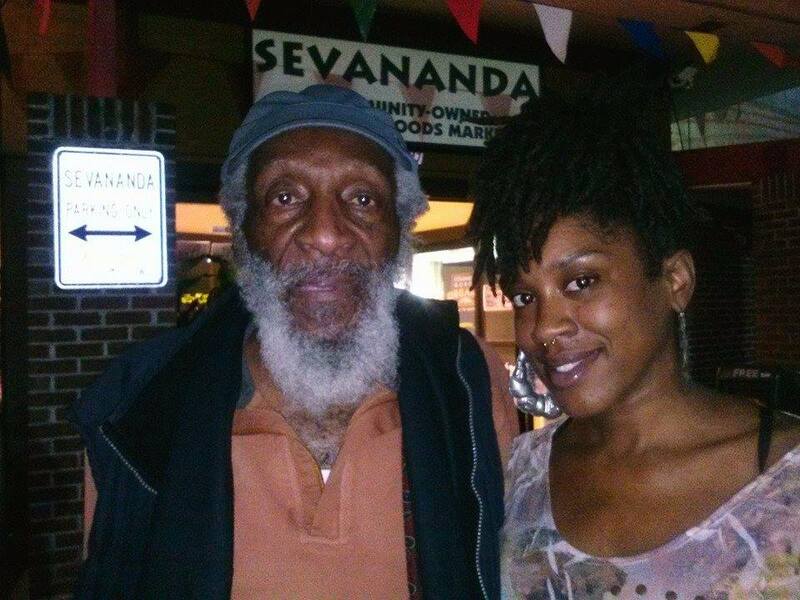 KPFK experienced the sudden loss, on March 19th, of the very engaging, multi-faceted producer and host, Bobbee Zeno. His work at the station goes back 15 years. Bobbee was currently co-producing and co-hosting “Experience Talks” — the popular show that focuses on senior life — and had just launched his new on-line venture, “Culture Vortex.” But there are several other lives Zeno lived, as metaphysician, healer, theatre producer, and seniors advocate. Family, friends and co-workers share their “Zeno moments” this Saturday, May 3rd, at 8:00 a.m. , in the time slot that “Experience Talks” normally airs. Even though we’re in pledge drive, this hour is all for Bobbee. Burlington resident for 40+ years; member, Burlington Telecom Advisory Board; and mayoral candidate in 2015… editor, business owner, author and civic leader; former Pacifica Radio CEO & Editor of Toward Freedom, Vermont Guardian, Vanguard Press, Public Occurrence, and Vintage. And he writes about Bernie Sanders as he progressed. I knew Don White primarily in his capacity as a member of the Pacifica National Board, and I was always struck by how up-front and genuine he was. In Board activities, he had a knack for disagreeing without being disagreeable. In conversations, he was charming and kind. It was several months later that I learned about Don’s other activism and his connections with progressive and radical movements throughout the hemisphere. He was a great guy, and his passing is a sad loss to us. Why am I not listening to the radio station I support? Because they are never out of pledge drive mode and they are quite ugly at it. I tried to listen this morning to the radio station that I support twice a year only to be told “come on people, it is time to cough up what this station is worth” and something about how much I might spend on coffee. The tone that they take is something between petulant and accusatory and the discourse sounded like a berating for not having given enough. There is also a pitch language that seems to treat the public as if we were all in the same place together listening to them. A few people call in, and it is a “rally” and nobody calls and we are not getting “with it”. Now Denis Bernstien can be all of that any time he does a pitch and I have no idea how many listeners he has personally and permanently lost to the station, but the others don’t pitch much better. Somehow being told how exceptional the news will be whenever we stop this fund drive by Amy Goodman, who will have dinner with me for a cool thousand dollars does not sound like a radio station reaching out to its community. Speaking of that community, where is KPFA? Are we doing anything to increase listenership? Are we doing anything to bring in new voices? 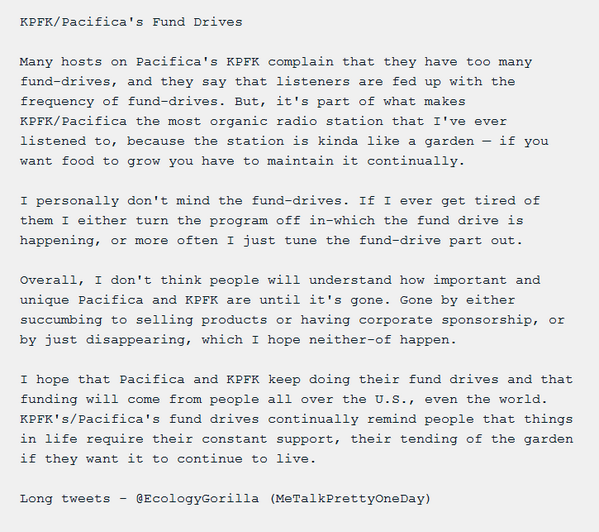 Seems like I only hear from Pacifica when they want us to donate or when they are infighting. For anyone who is paying attention the infighting is vicious and destructive. On the one hand we here endless and misleading vitriol from the “Save KPFA” group and on the other, we have groups of people who seem to be holding on to some kind of turf. I do not watch it close enough to know who is entrenched and how but the shows do not change much and I have no idea who some of them are reaching out to. Serious HR practices are not being dealt with and programing seems more like a confederation of non-profits than a coherent radio station. It seems to me that as our national government is shut down and paralyzed by two similar groups fighting for turf something not so different happens throughout US culture. So I switch off the radio station that I support and listen to the biased, high class version of the corporate news on KQED, which I tell people not to send money to. Is there any wonder why my son and girlfriend both have KQED membership gifts? 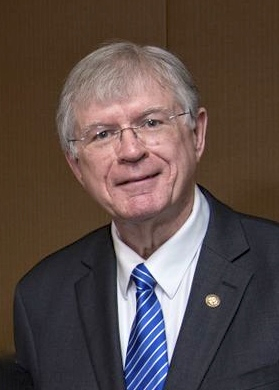 Chair, Journalism DepartmentSenior Professor of Journalism & Communication StudiesFaculty Coordinator, George Polk Awards; Faculty Athletics Representative; Administrator, Theodore E. Kruglak Fellowship in International Reporting. 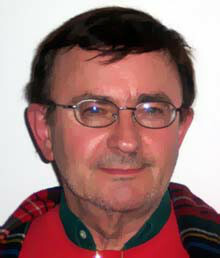 Dr. Ralph Engelman is Senior Professor and Chair of Journalism & Communication Studies at LIU Brooklyn, where he has received the top awards given by LIU for scholarship and teaching: the Abraham Krasnoff Award for Lifetime Scholarly Achievement and the David Newton Award for Excellence in Teaching. He is faculty coordinator of LIU’s George Polk Awards. He serves as journalism consultant and member of the academic advisory board for the Archive of American Television, a digital history project of the Academy of Television Arts & Sciences Foundation. In this capacity he has conducted long-form interviews with Morley Safer, Sidney Lumet and Geraldo Rivera, among others. Since 1980, he has been a participant in the Summer Fulbright Institute on the Civilization of the United States, Multinational Institute of American Studies, New York University. Professor Engelman is the author of “Friendlyvision: Fred Friendly and the Rise and Fall of Television Journalism,” with an Introduction by Morley Safer (NY: Columbia University Press, 2009) and “Public Radio and Television in America: A Political History” (Sage: Thousand Oaks, CA: Sage, 1996). His “The Origins of Public Access Cable Television,” Journalism Monographs (No. 123, October 1990), has been translated into Japanese and Portuguese. We didn’t make quorum at KPFK in 2012. Shame on us. People been asking about my vision for KPFK, and my answer has been People’s Radio, that I need to talk to people to find out what they want from their radio station. But I’ll give you a hint of what I’m thinking from a statement back in 2007.
liberating the people from the social control of brutality, terror, surveillance, incarceration, and genocide. surviving technological, economic, and societal disintegration. These are the defining challenges confronting the 21st century. Their solution demands leadership from those who will live with the consequences of the decisions we make now. All of the struggles around KPFK are rooted in one question: will we oldtimers continue to tear up KPFK between us, or will we nurture new leaders? Do we have the wisdom to liberate the station from us? There’s more but it’s dated. Hope this, as idealistic as it is, gives you some idea of what I dream of. Leslie Radford shared Occupy Venice Beach‘s photo. Call Mayor Garcetti & ask him to veto and rescind LAMC 56.11 & 63.44 B & I – 213.978.0600. To post here, let me know, I'll put you on the list. Other pages include other interests of yours truly.